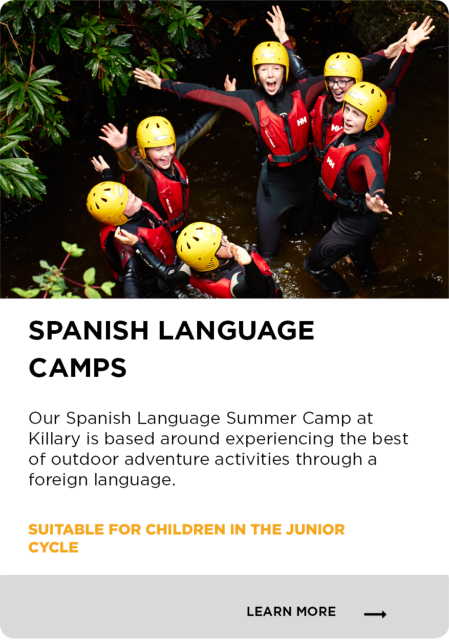 KILLARY SUMMER CAMPS ARE THE BEST ADVENTURE HOLIDAY YOU COULD GIVE YOUR CHILD! 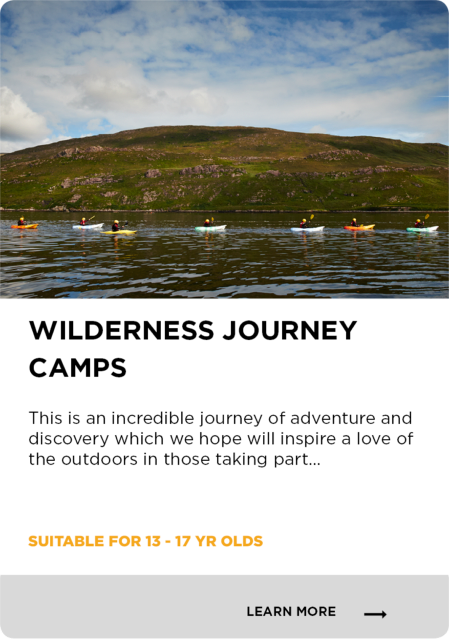 We have a superb variety of summer camps to suit all ages and interests and over 35 years’ experience ensuring children have the most memorable holiday ever. For older, adventurous teens or our popular SPANISH LANGUAGE CAMP where language and adventure are creatively combined. Our packages are all-inclusive and extremely good value. We also offer escorted travel from a number of locations in Ireland. 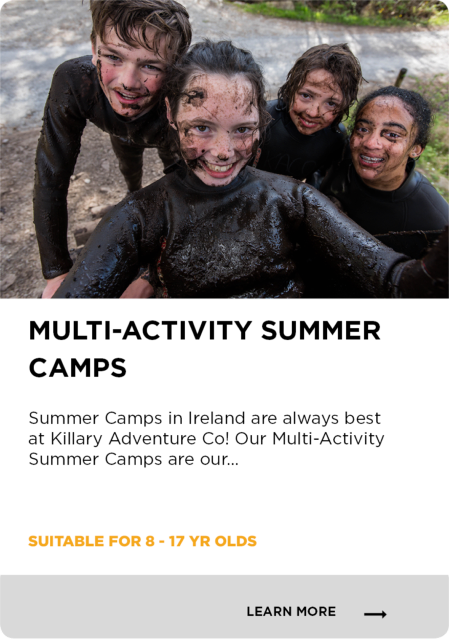 Killary Summer Camps offer everything your child needs for the perfect holiday including new experiences, encouragement to broaden their Horizons and the chance to make new friends. Added to this we provide cosy accommodation, home-cooked food and caring supervision.